It is crucial that brands have a strong digital marketing strategy in 2019. After all, one study showed that all brands that responded use some digital marketing, and 83% had some sort of defined digital marketing strategy. However, digital marketing is constantly evolving. Each year, there are new technologies and trends that burst onto the scene with the promise of fostering brand growth. Adapt the right techniques soon, and you can reach your specific goals efficiently. Alter your strategy too late, and you’ll lag behind the competition that beat you to market. It can be tricky to determine which digital marketing trends to adopt, especially because it does change so quickly. Luckily, we spoke with experts at leading digital marketing companies All Things Media and Elevated Internet Marketing to determine the top digital marketing trends of 2019. 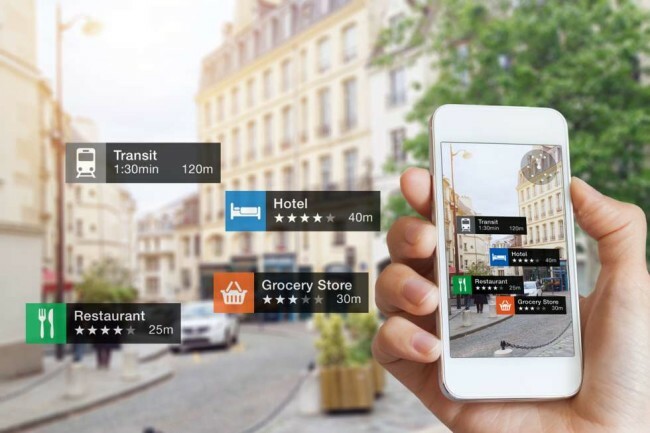 Extended reality is simply an all-encompassing term for augmented reality and virtual reality – two innovative techniques that change a user’s perception of their own reality (AR) or transport them to a new reality (VR). In fact, augmented reality and virtual reality with have a market value of $215 billion by 2021. Plus, 71% of consumers feel more engaged with a brand that uses VR and augmented reality will have upwards of $1 billion users by the year 2020. Augmented and virtual reality have already made inroads in retail and will become more mainstream in the coming year. As online shopping continues to grow, so do returns and customer complaints. In order to increase efficiency, online retailers are beginning to adopt extended reality tools to assist the customer. This adoption can be seen across a wide range of product types ranging from everyday household items from Amazon all the way up to luxury automobiles like Cadillac. Amazon has integrated an augmented reality viewer into their mobile application allowing customers to view multiple product types in their homes before purchase. With the help of ATM, Cadillac has deployed mobile virtual reality experiences designed to help users visualize vehicles from the comfort of their homes. The Ikea Place app allows shoppers to virtually place Ikea furniture in their homes. The Dulux Visualizer lets customers virtually paint a room without touching a roller. The Converse Sampler app lets users virtually try on shoes. As extended reality devices become more commonplace and cost-effective, this trend will only increase leading to a more immersive and practical online shopping experience. Digital marketing tactics have many benefits, such clear key performance indicators, easy campaign performance management, and access to plenty of consumer data – which traditional marketing techniques often don’t offer. However, with access to digital information comes an increased risk of cybersecurity breaches. In fact, third-party app stores host over 99% of malware. Plus, new technologies such as the Internet of Things are proven to increase the risk of data breach, according to Norton. Thus, the prospect of customer dissatisfaction or a major PR nightmare and governmental crackdowns on information collection and distribution (such as the General Data Protection Regulation, or GDPR) have made it difficult for brands to aggregate helpful data or target customized audiences through digital marketing tactics such as pay-per-click paid media and social media ads. Data breaches are everywhere. With privacy being an ongoing and growing issue, we have seen a lot of changes in the digital marketing world that have limited our ability to targeted as effectively as we once did, especially after the fallout of Facebook’s many data breaches and GDPR updates (in fact, Facebook had three large data breaches in 2018). With this in mind, one of the changes we have started to see (and are prepared for it to happen more extensively) is the diminishing ability to target effectively within platforms like Facebook and Google, where they will take further steps back from utilizing their own data to target in an effort to protect themselves. This will require marketers to defer to third-party targeting tools like Experion, Valassis and others to access the segmentation and targeting needs they have. There will also be an increasing need for advanced first party data from companies to use for advertising purposes. To improve your own targeting efforts in digital marketing campaigns, use customized and segmented lists, personalize messaging and make the online experience a positive one when using these lists or you run the risk of betraying (and annoying) your most valuable audience. Learn how you can protect your brand’s online presence from cybersecurity data breaches HERE. From chatbots to machine learning to intuitive eCommerce platforms, artificial intelligence is permeating every facet of digital marketing. And these emerging trend offers massive rewards. Studies show that AI will increase business profitability by upwards of 38% by 2035. What’s more? Almost 90% of digital display ads will be programmed through artificial intelligence technology by 2020. Customers who shop online will always have questions they need to be answered by knowledgeable salespeople. To address this need, retailers have increasingly moved to Artificial Intelligence (AI). Chatbots have moved beyond simple text exchanges to full phone conversations. As mixed reality becomes a larger part of the shopping experience, virtual AI salespeople won’t be far behind. The challenge in the coming years will be to create AI sales representatives that capture the nuances of person to person communication. People like working with people. So, the more AI emulates real interpersonal communication the more widely accepted it will become. When brands incorporate the latest digital marketing trends, they increase the likelihood that they will surpass the competition and stay at the forefront of their industry. By constantly innovating, brands – like yourself – can create engaging brand experiences, effectively find your target audience online and serve them relevant content, and customize their interactions on several platforms. These digital marketing tactics will improve brand awareness, increase online traffic, boost conversions, and increase the change that one-time users will transform into long-time customers. you’ll position your brand as a leader in your industry and in the market, cultivating long-term success for years to come. Seeking a digital marketing agency for your next marketing campaign, strategy or project? Check out the top digital marketing companies from around the world on DesignRush.